A similar problem was raised during the Millennium Open Golf Championship in St. Andrews, certainly an area much smaller than Tokyo and already facing a shortage of Olympics hotel rooms. To accommodate a large software company we were working with we were able to “house” them on Cunard’s QE2 in the Firth of Forth and shuttle them to St. Andrews by car. Similarly for the fjeffrey@eqtravel.com, we solved the housing shortage by utilizing accommodations in Nice and the issues of transportation and viewing spots by using helicopters to shuttle them to viewing areas on yachts in the marina, so in essence we created an entire experience for them—lodgings in the Cote d’Azur, flying in a helicopter, and getting trackside views for one of the world’s premier events. It’s a formula we were also able to duplicate for the Grand Prix in Abu Dhabi the following year, and one that could always be a possibility when it comes to Tokyo 2020 corporate travel. 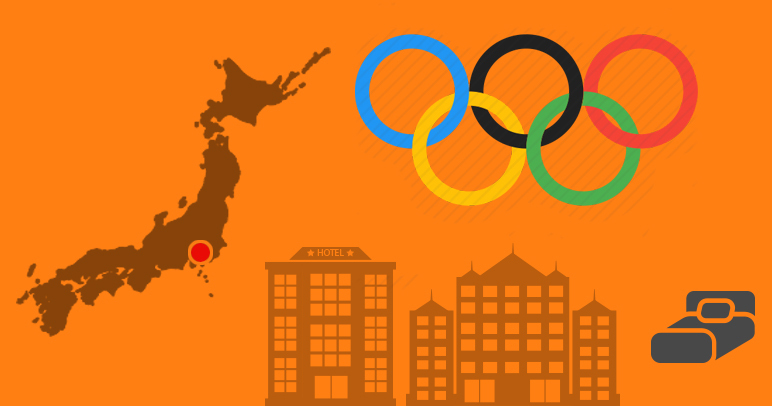 Not to say that we are giving ideas to the Tokyo Olympic Committee, but reports have come out that the government plans to use cruise liners stopping in Japan as hotels for visitors to the 2020 Olympics in Tokyo. The government is working on setting guidelines on hotel ships for cruiseline operators and tourist agencies, hoping that the hotel ship system will also be used for large-scale events in the future. Other alternatives are in the works, such as renting out rooms in private homes, which might solve the lodging dilemma for tourists from Ohio, but won’t provide a solution for corporate executives used to more upscale accommodations. Another issue facing the country is that with all the plans in place to add rooms by 2020, who is going to build them? The biggest challenge to Japan’s accommodation sector in future times may not be oversupply, but shortage of labor. There is a serious lack of construction workers with the increasing demand for building projects linked to the Olympic Games. The Japanese government wants to bring 40 million tourists to Japan in 2020, with more than eight million Japanese and foreign people, including games-related officials, forecast to come to Tokyo just for the 2020 Olympics. Securing accommodations for these people is an urgent task for the government, as is the task facing corporate travel managers for large to mid-size companies throughout the world who are trying to secure rooms for their top-level executives, and forced to compete with deep-pocketed sponsors, many of them Fortune 50 companies which earn the most revenue and hold the greatest sway over the world's finances than any other businesses. Not to mention the ability to book the best rooms in Tokyo for the 2020 Olympics. Franc Jeffrey is CEO of EQ Travel, with offices in the United Kingdom and Boston, MA. He has over 25 years experience in global corporate travel. Franc can be reached at fjeffrey@eqtravel.com. For more info read about or corporate travel services.